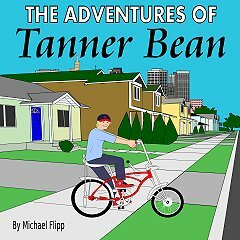 Here is a Christian Children's Book titled, "The Adventures of Tanner Bean". The setting is a St. Paul, MN neighborhood in the 1970's and Tanner wants a new bike, but money doesn't grow on trees. So he comes up with ways of earning money, has the fortitude to stick it out and works hard all summer long for his dream bike. But Tanner has to deal with a bully. Tanner is prompted to pray to God for help and is led through this entire story. Tanner learns many valuable lessons and the main lesson learned at the end of the story is one is which any parent would love for their own child to learn. The Audio version is 1 hour 53 minutes long. Perfect for a road trip.